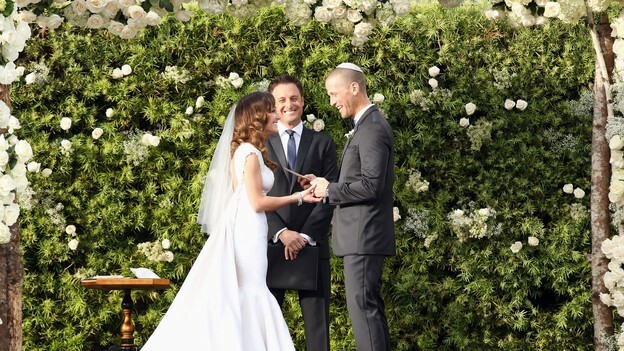 The Bachelor Expert: The Bachelorette Royal Wedding: Ashley and J.P. 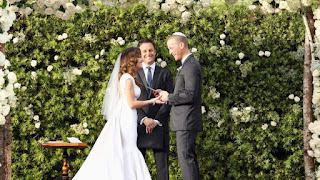 The Bachelorette Royal Wedding: Ashley and J.P.
Last night Bachelor Nation watched Ashley and J.P. take their romantic and heartfelt vows. 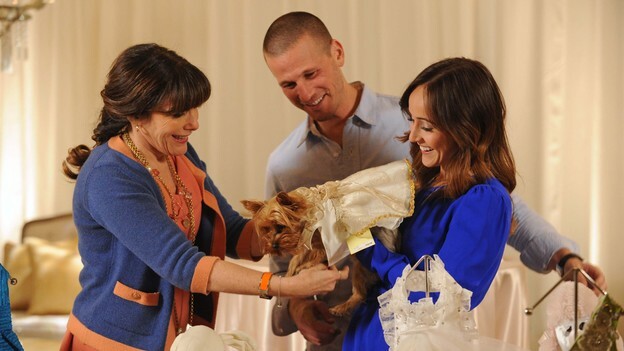 The episode started out with them telling their families the wedding date. Then Chris Harrison started having a chat with them, we saw their lives in NJ, I love their "real" jobs and lives, it shows how they work. We don't see them out in Hollywood or in the tabloids. I am Team Ilene, with her fabulous scarfs and fun personality. Then it is time for planning with Mindy Weiss, who needs her own show. What do you think would happen if she showed up at the end of the seasons with Neil Lane and said, "It is time to start planning?" The looks on the Bachelors and Bachelorettes would be priceless. revealed. The design was beyond and she looked drop dead gorgeous. Throughout the entire episode it was so sweet to see how much they love each other. J.P. adores her, and the vows just melted my heart. They both looked so in love and I don't see how Chris Harrison kept them from kissing. Chris Harrison caught up with former Bachelors and Bachelorettes. 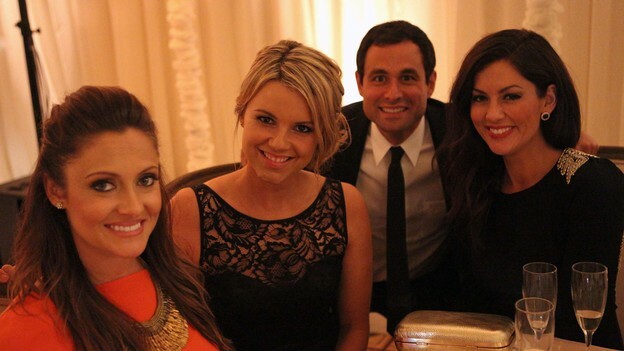 How stunning is Molly Mesnick? Pregnancy looks great on her. I can't wait for the third Bachelor baby to arrive. The lengthy ITMs by the single Bachelorettes and Ali and Roberto walking in together, added speculation in true Bachelor fashion. 6. Chris Harrison's return on my TV, "coming up"
What was your favorite part of the episode? How insane did Sean's season look? Do you have a favorite girl yet? I can't wait.